Ok, so today’s post isn’t about Abbey. What was on my mind was homeschooling my boys, one of which is diagnosed with high functioning autism. And, it’s good to ‘mix it up’ a bit every once in a while, right? Abbey’s brothers have strengths and weaknesses just like Abbey, just like every child. My son with autism is so fascinated with history and it makes a subject that’s never been a favorite of mine, fun! But, boy does he struggle in other areas, making it hard sometimes, but always interesting! 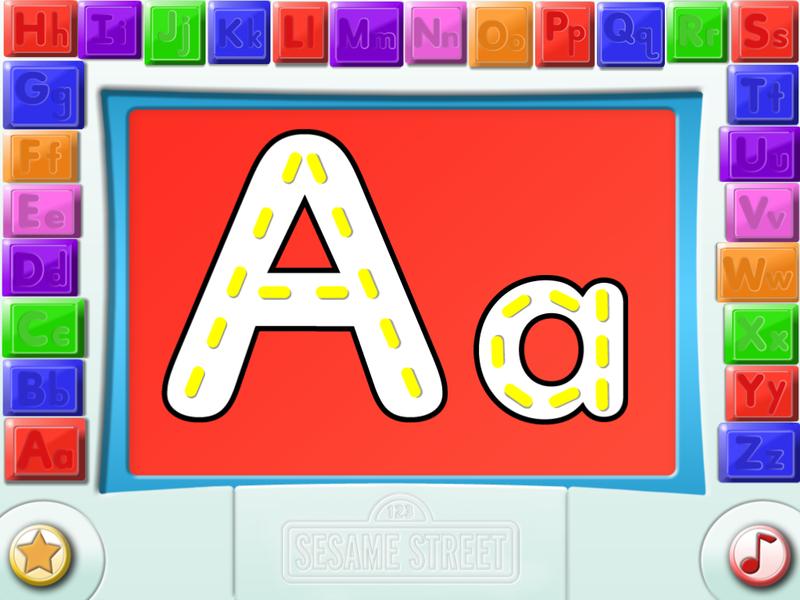 Abbey Learns to Write with These Favorite Apps! Abbey loves tracing and learning to write because of these apps, they make it fun! Out of the many we have tried, these are by far, her favorites…the ones she will pull up on her own and play with over and over. To me, that is very important, a motivation to learn! Here is a video of her using all three…Abbey’s Video. The first is Write My Name by Injini. This app is for the iPad, only. 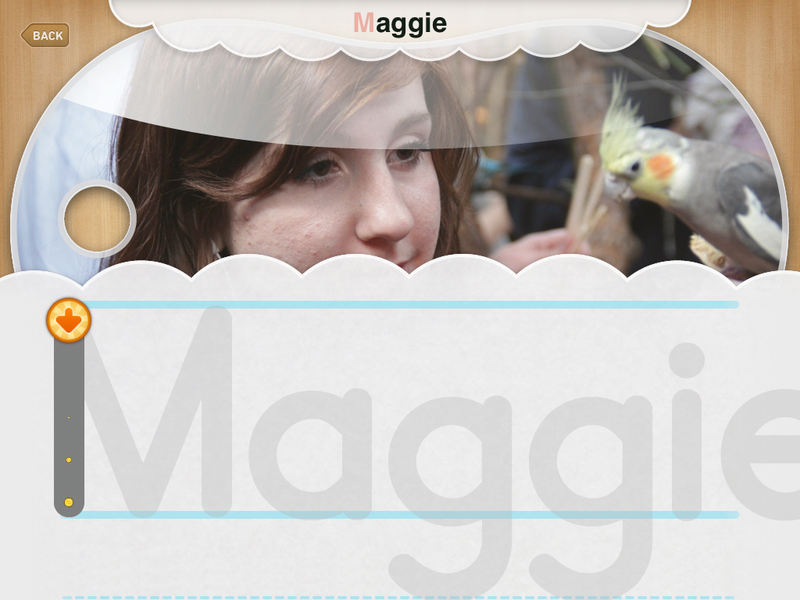 It gives her three choices of what to trace: letters, words or her ‘name cards’ that I have customized for her. For the name cards, you can use add whatever you’d like. We chose to use the people in her family, including their pictures, names and their own voices saying their names. So, Abbey sees our pictures, learns to write our names and hears each of our voices. I believe this has helped her learn who we all are. Sounds strange that we would need to teach her this, but just a few months ago, she really didn’t know our names. If I asked her to give something to a certain family member, she didn’t have a clue. She’s learning and enjoying learning! 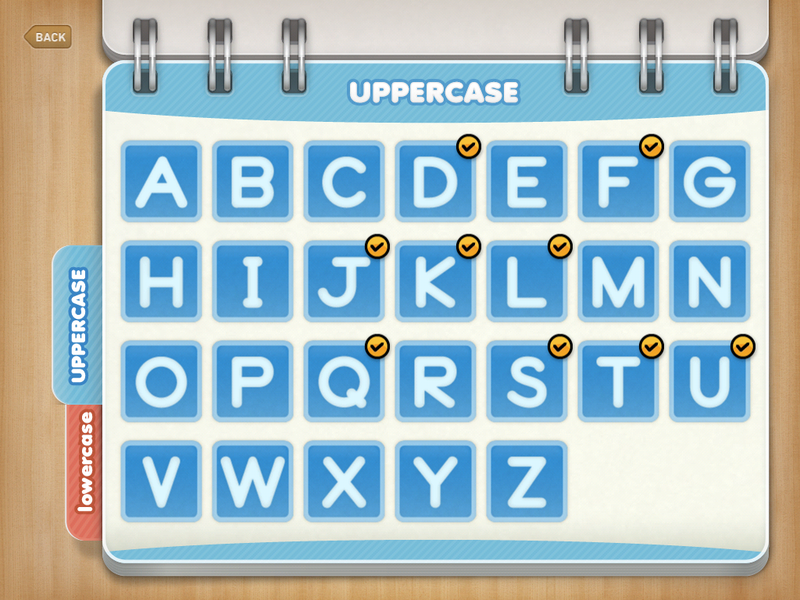 The next app is Letter School and what fun it is! They chose letters or numbers to trace. 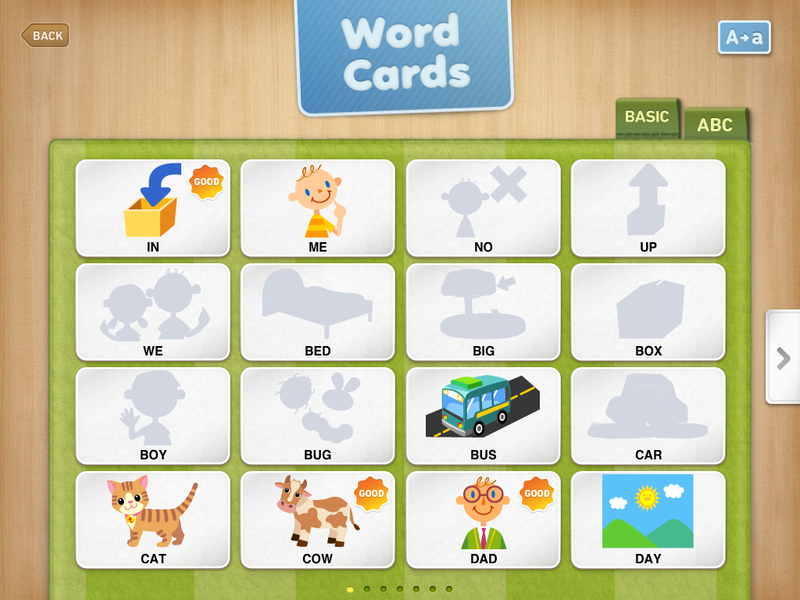 What is so unique about this app is that there are three levels of learning for each letter/number. 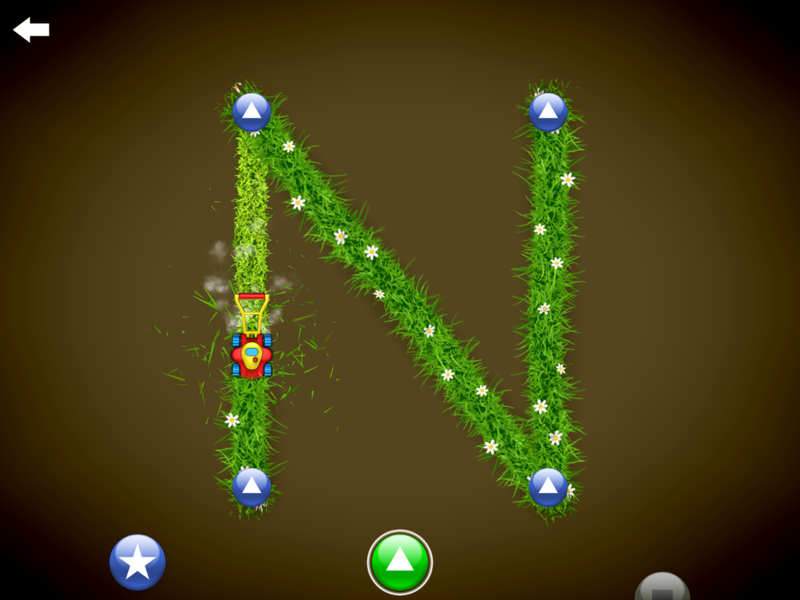 All they have to do is touch a ‘dot’ in the first level (first star) and it shows them how to make it. 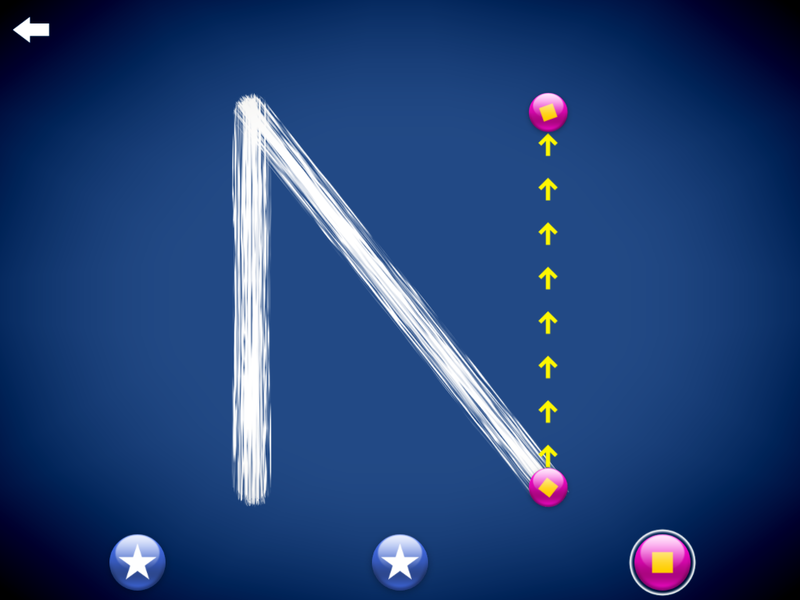 The next level (second star they click on) shows the letter and they need to trace it the correct way. Once they get these first two levels correct, it offers them a third star at the bottom to click on to try the third level. 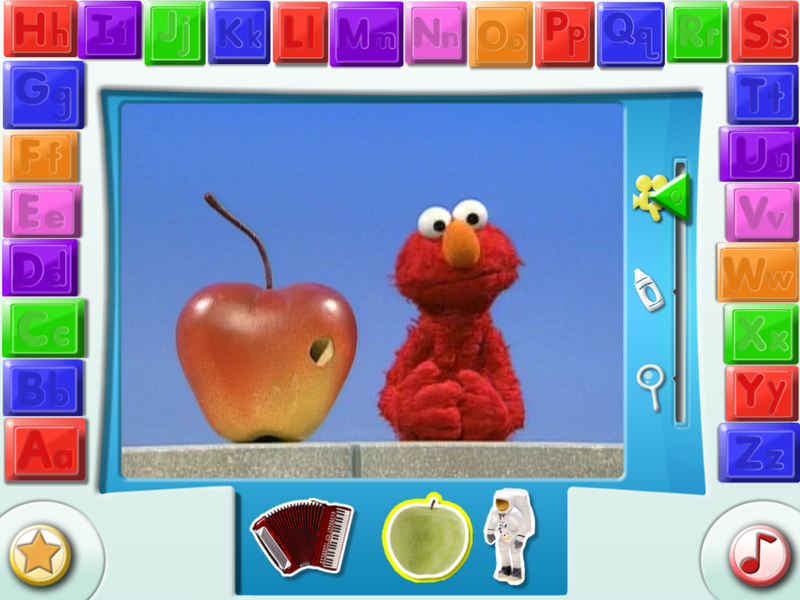 For the third level, it briefly shows them the letter and then it disappears, only showing where to start. They have to write the letter/number on their own. This sounds like maybe it gets too hard, too fast, but don’t worry. If they have trouble, it shows them arrows of which way to go and then if they still have difficulty, it shows parts of the letter for them. This helps Abbey succeed, so she wants to keep trying.